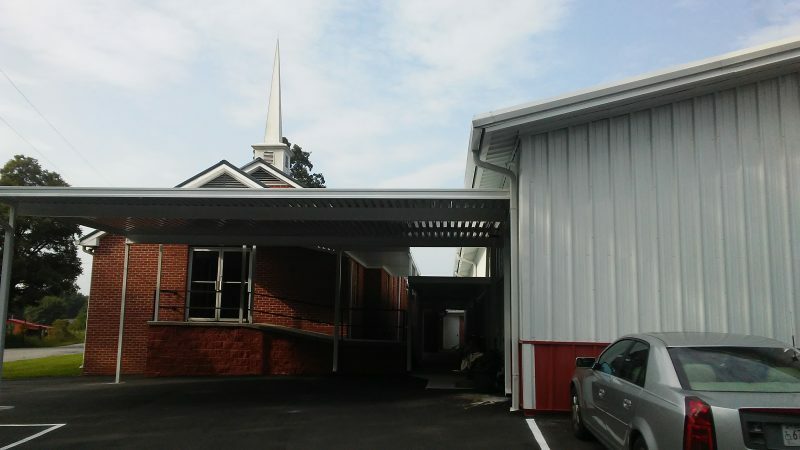 Ogden Baptist Church, 2844 Ogden Road, Dayton, Tenn.
Hello everyone! I know you normally see my name appear on the top of articles talking about the Rhea County Eagles football team, so confusion as to why I am writing about a church is more than understandable. Why am I writing about a church, you might ask? This church, to me, isn’t just any church. This church and the people that go there have become my home over the last couple of years. They are an amazing group of people, and I have considered it a privilege and blessing to serve there as a ministry intern for two years and interim pastor since late June of this year. This article is about them and a highly special occasion that is coming up for our church this weekend: the 150th anniversary of the church’s founding. Ogden Baptist Church was founded as Mt. Zion Baptist Church in 1868 to serve the local community. Pleasant Snow, a member of one of the area’s founding families, donated the land to build the church where his son, James, served as the first pastor. The church was renamed in 1892 to “Ogden Baptist” to reflect the name of the local community. The church has had four different homes over its 150 year history. The first location was a small log building near the site of the current building. The second was another log structure that sat where the parking lot is currently located. A brick building was constructed in the mid 20th century, serving Ogden until Mother’s Day of this year when a new sanctuary, located directly adjacent to the brick structure, was opened for worship services. The most recent pastor was former Rhea County assistant superintendent and current Jefferson County superintendent Shane Johnston who stepped down on June 17th of this year to begin the process of moving to Jefferson County. We will have a singing on Saturday night starting at 6:30 featuring the 2×2 Quartet from Cleveland. Sunday morning service starts at 11 with Steve Pearson bringing the morning message. We will have a brief song service and dinner at the church immediately after that service. We invite everyone to attend even if they have never been to Ogden. To get to the church, take Highway 30 up Dayton Mountain and turn onto Ogden Road heading towards Fort Bluff Camp. Travel about 3 miles out the road and you will see the old brick church with a red and white metal building sitting beside it. Brian is a student at Bryan College in Dayton, TN, where he is studying Secondary Education with a focus on History. He is a native of Spring City, TN, and is a 2015 graduate of Rhea County High School.